Published January 15, 2019 Filed under Uncategorized. Total of no comments in the discussion. January 16 B.C. 27 Gaius Julius Caesar Octavianus is granted the title Augustus by the Roman Senate, marking the beginning of the Roman Empire. Which Roman empire never conquered the Scots, but instead, built two walls to keep the Scots out of Britain. And the walls didn’t wok, to keep the scots out, that is. 1202 sometime in this year. According to Gaetano Moroni, Pope Innocent III presented a sword and hat to King William the Lion of the Scots in 1202. 1439 · sometime this year. Battle of Corpach battle in which the Clan Cameron routed the Clan Maclean. 1497 sometime this year. Battle of Drumchatt – The Clan Mackenzie and the Clan Munro defeated the Clan MacDonald of Lochalsh at Drumchatt (Druimchat) or “the Cat’s Back”. 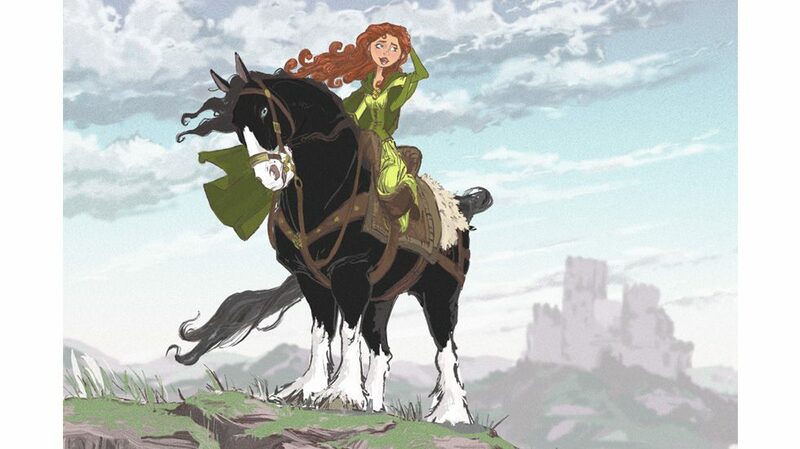 Princess Merida – red haired fuzzy figure on the horse Angus, (voiced by Kelly MacDonald), Brave film 2012. Disney. 1503 sometime this year. James IV of Scotland portrait with Crown of Scotland in the Book of Hours created for his marriage to Margaret Tudor in 1503. 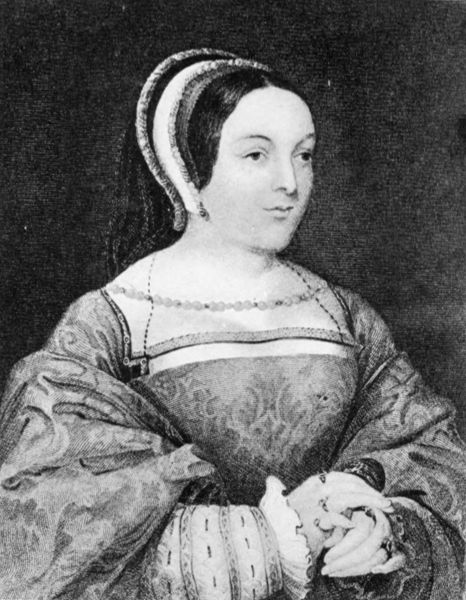 MARGARET TUDOR, QUEEN OF JAMES IV. The Spell of Scotland by Keith Clark, 1916 to the Lord Marischall, Boston The Page Company. P. 124. 1506 or 1507 sometime this year. The Sword of State of Scotland was a papal gift (Blessed sword) of Pope Julius II presented to James IV in 1507. Julius is famous for hiring Michelangelo to paint the ceiling of the new Sistine chapel of the new Saint Peter’s Basilica in Rome. Sword stored in Edinburgh Castle with scabbard and belt. 1524 sometime this year. Chief Sir Alexander Jardine of Applegirth led the Clan Jardine when they met an advancing force of English near Carlisle in 1524 where they took hundreds of English prisoners during the Anglo-Scottish Wars (all held for ransom, or exchange, no doubt). 1526 Linlithgow Bridge. According to Douglas writing to Thomas Magnus the English ambassador, Earl of Arran, (clan Hamilton) was able to muster in the region of 5,000 men from the local estates around Linlithgow at the ‘wappinschaw’ including Lords Eglington, Cassilis, Sympill, Avondale (clan Stewart), Ross and Hume and the Abbot of Jedworth and the Laird of Ferniehurst. This was planned with Margaret Tudor (Queen Dowager and James 5th’ mother). Arran’s force pitched camp around the Peel and awaited the arrival of the Queen’s contingent (Margaret Tudor’s). Hamilton’s design was to recover James 5th from Douglas, Earl of Angus. So Angus seized the initiative, placed the King (James 5th) at the head of the Edinburgh militia and along with Lennox, Argyll (clan Campbell) and some 7,000 troops, marched on the rebels on the 16th January 1526. Arran met with Moray, the Bishop of Ross and Queen Margaret on the road to Stirling with ‘sundrie uther northern men’. The Queen joined him in the flight to Hamilton whereas Moray rode on to Linlithgow and met with Douglas a mile out of town probably at the bridge. Realising all was lost Moray promptly threw in his lot with the Douglases, claiming he had been deceived by the Queen into believing the King was in need of rescue. The Douglases spent the night at Linlithgow Palace partying , safe in the knowledge that any man who bore arms against him was doing so against his King. 1697 In 1698 Charles Gerard, 2nd Earl of Macclesfield, obtained a divorce from his wife, Anna, daughter of Sir Richard Mason; shortly afterwards she married Colonel Henry Brett. Lady Macclesfield had two children by Richard Savage, 4th Earl Rivers, the second of who was born at Fox Court, Holborn, on 16 January 1697, and christened two days later at St Andrews, Holborn, as Richard Smith. Six months later the child was placed with Anne Portlock in Covent Garden. In 1718, Richard Savage claimed to be this child. He stated that he had been cared for by Lady Mason, his grandmother, who had put him in a school near St Albans, and by his godmother, a Mrs. Lloyd. He said he had been pursued by the relentless hostility of his mother, Mrs. Brett, who had prevented Lord Rivers from leaving £6000 to him and had tried to have him abducted to the West Indies. Plot of Oliver Twist by Dickens. 1707 – The Scottish Parliament ratifies the Act of Union, paving the way for the creation of The Kingdom of Great Britain, described occasionally as the United Kingdom of Great Britain, which was a sovereign state in Europe, that existed from 1707 to 1801. The United Kingdom came into being on 1 May 1707, with the political union of the Kingdom of Scotland and the Kingdom of England (which included Wales). With the 1706 Treaty of Union (ratified by the Acts of Union 1707 ), both agreed to create a single, united kingdom, encompassing the whole of the island of Great Britain and its minor outlying islands. Ireland was not included. 1751 did not occur in England, Ireland, British North America, and British colonies, as 1751 only had 282 days due to the Calendar Act of 1750. 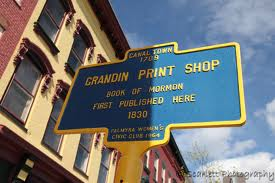 1751 ran from March 25th 1751 (Lady Day) to December 31st 1751, the next date being January 1st, 1752. But this date in 1751 did occur in Scotland and most European countries. 1780 Admiral Rodney captures 4 Spanish ships near Cape St Vincent Tytler’s Britannica. 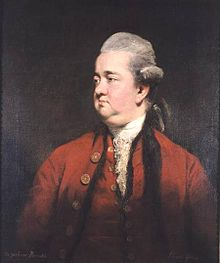 1794 – Edward Gibbon, died. English historian (b. 1737). 27 April 1737 – 16 January 1794) was an English historian and Member of Parliament. His most important work, The History of the Decline and Fall of the Roman Empire, which was published by the firm founded by Andrew Millar 6th (clans Stewart, Lockhart, Hunter) who had flourished a few decades before Gibbon. 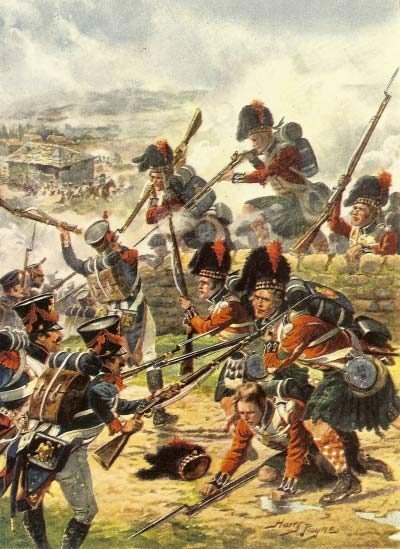 42nd Highlanders storm the French position at the Battle of Corunna. Highlander in Kilts Captured by French. 20th form of 16 pages printed. Somewhere in Alma. 1893 Rufus Ingalls (August 23, 1818 – January 15, 1893), American military general who served as the 16th Quartermaster General of the United States Army. 1924 – Winifred Cochrane, Countess of Dundonald, died. Scottish philanthropist (b. 1859) (clan Cochrane). 1986 thousands of elementary school class teachers adjusted television monitors for a national broadcast of the lesson from outer space to be taught and hosted by Space Shuttle Challenger’s crew, including Sharon Christa McAuliffe (1948) for NASA’s Teacher in Space Project (son Scot); and Ronald Ervin McNair, Ph.D. (1950). As the first two astronauts on the moon were both Scots (Armstrong and Aldrin), the first teacher’s class from space will be Scots based (or at married to a Scot). 2003 – The Space Shuttle Columbia takes off for mission STS-107. 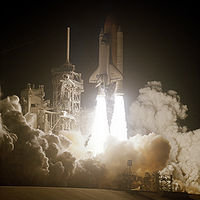 Space Shuttle Columbia launches on STS-109(HST-3B) to repair the Hubble Space telescope. This was the final successful mission of Columbia before STS-107. Robert Lee Stewart is a retired Brigadier General of the United States Army and former NASA astronaut. Time. Ths man may turn you green with envy or just turn you off. 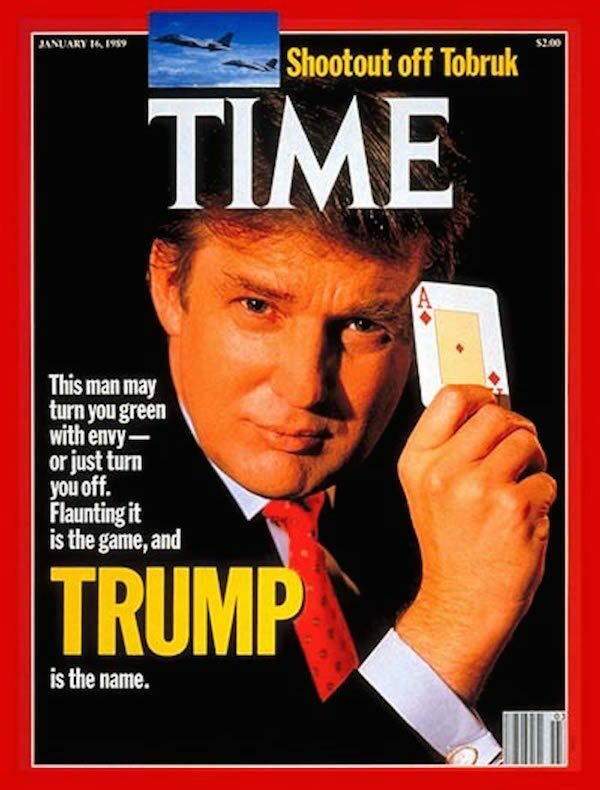 Flaunting it is the game, and Trump is the name. Ace of Diamonds.